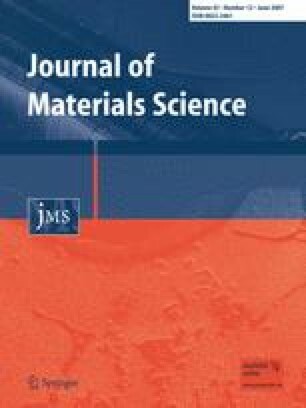 The microstructure of joints between an Al-alloy and a zinc coated ferritic steel sheet manufactured by the so-called CMT joining method is investigated. The joint consists of a weld between the Al-alloy and Al 99.8 filler and a brazing of the filler to the zinc coated steel. The morphology, the structure and the defects of the intermetallic phases that developed at the interface between the steel and the Al 99.8 filler are characterised using scanning and transmission electron microscopy. The intermetallic phase seam is only about 2.3 μm thick and consists of trapezoidal nearly equiaxial Fe2Al5 grains surrounded by finger-like remains of the steel and mostly elliptical FeAl3 grains extending into the Al 99.8 filler material. Both the Fe2Al5 and the FeAl3 grains contain crystal defects. Financial support from the Hochschuljubiläumsstiftung der Stadt Wien (grant ( H-175/2001) is gratefully acknowledged by one of the authors (D Eyidi). Further we wish to thank A Leitner, voestalpine Stahl GmbH and R Rechberger, voestalpine mechatronics GmbH for the preparation of the samples.